The Big Kahuna has got to be the most popular slide on the market! Everybody loves the Big Kahuna. 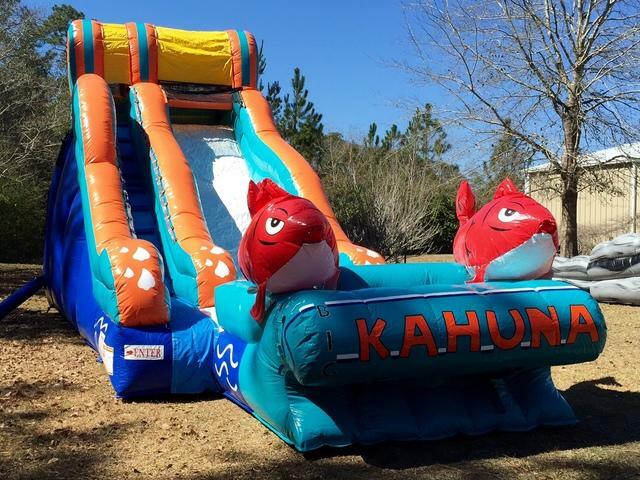 Come slide with the popular red fish on the Big Kahuna to make your party one that is funfilled and full of excitement! This deluxe Big Kahuna is made of high quality and durable material.